Harry Potter And The Burgled Prequel: Rare, Handwritten Copy Stolen In U.K. : The Two-Way The 800-word prequel, which was scrawled on a postcard by J.K. Rowling herself, went missing from a property after a burglary in mid-April. Now, Rowling and the police are calling on fans to help. A muggle mystery is afoot in the U.K. Sometime over a span of a week and a half in mid-April, a burglar (or several) broke into a property in a Birmingham suburb, stealing jewelry and one item that's even more valuable — certainly to Harry Potter fans, at least: an 800-word, handwritten prequel to the series, scrawled on a postcard by J.K. Rowling herself. "The only people who will buy this unique piece are true Harry Potter fans," West Midlands Police announced in a statement Friday. "We are appealing to anyone who sees, or is offered this item for sale, to contact police." The rarity sold for roughly $32,000 at a 2008 auction to benefit Dyslexia Action and English PEN, an advocacy group for free speech and human rights. The postcard is signed by Rowling and, according to CNN, graced with this postscript: "From the prequel I am not working on — but that was fun!" 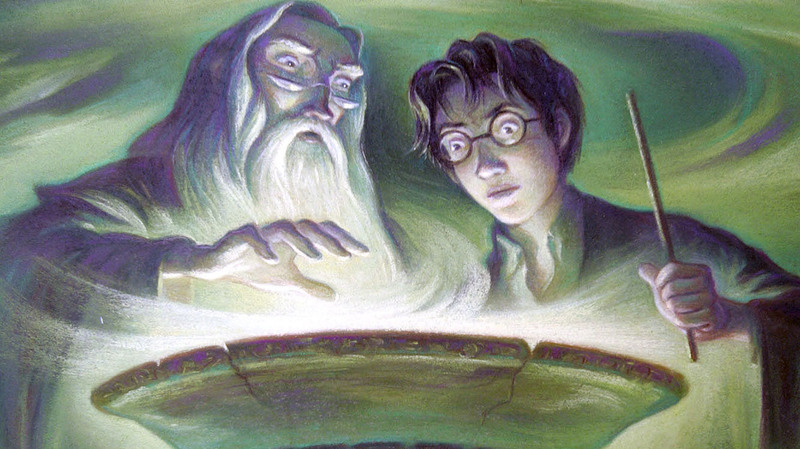 "The prequel, set shortly before the birth of Harry Potter, centers on his father, James, and his mentor, Sirius Black. The men have a dustup with a pair of police officers, from whom they escape on broomsticks, according to reports in the British news media." Now, both law enforcement and Rowling are asking not only for information on its whereabouts, but also for self-restraint among any superfans who happen to be offered the card. "PLEASE DON'T BUY THIS IF YOU'RE OFFERED IT," Rowling tweeted Friday.